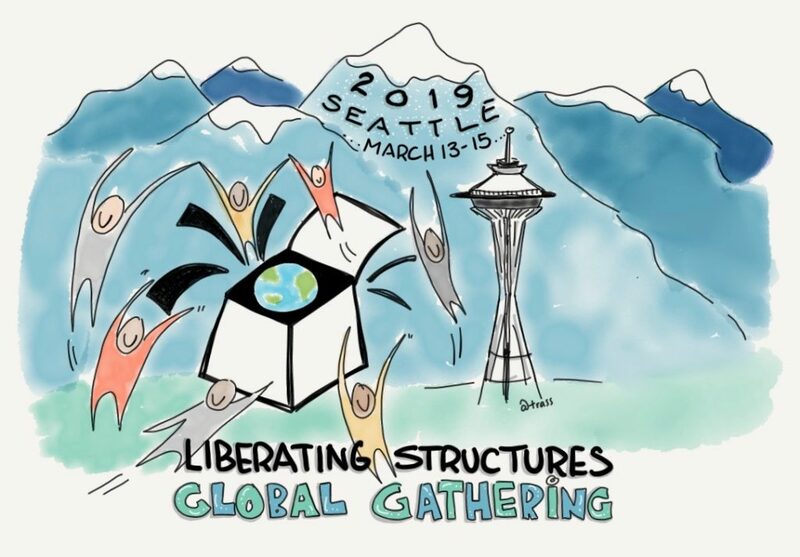 I recently attended the first-ever Liberating Structures Global Gathering in Seattle. What a treat to be with 300+ fellow LS weirdos!! 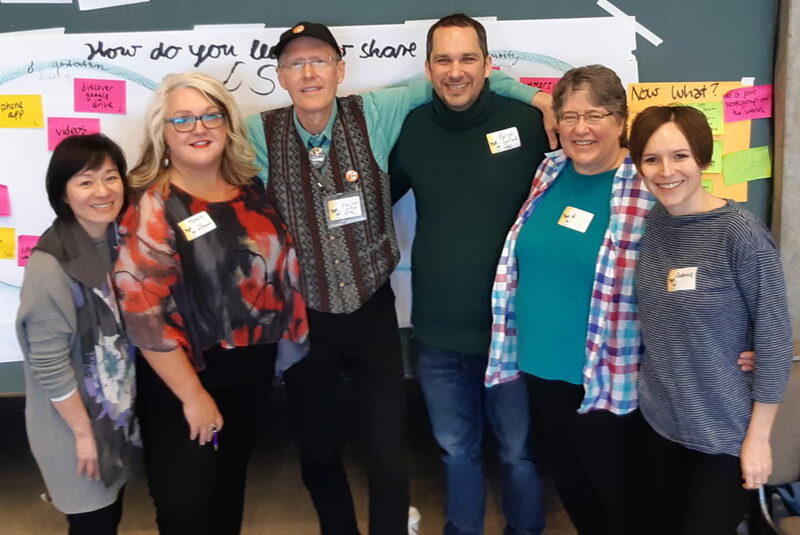 At times it felt like a family reunion, and a conference, AND a giant studio/laboratory for facilitators – lots of experiments and approaches and invitations that may NOT fly in the normal course of our facilitation work, but it was game on at the GG and off we went boldly in the direction of just trying stuff. LS Stuff to try, try again, or do more of: Anxiety Circus (25/10 for surfacing worries/concerns), 1-2-4-all dance party (like it sounds), Conversation Cafe (had such a good experience! this is an under-used LS for me), giant Ecocycle on the floor! Fingers crossed it becomes an annual – or biennial – event. 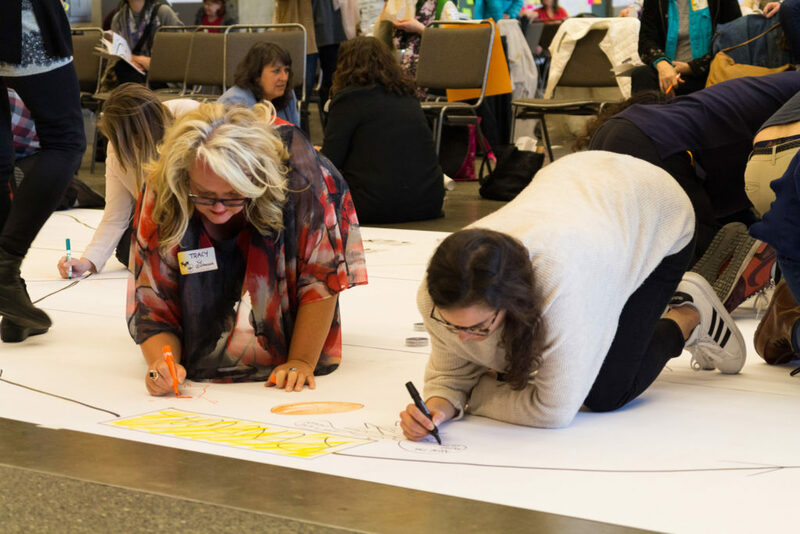 Either way, I’ll be one of many, I’m sure, to shoot my hand up to volunteer to help make it happen – love this community!